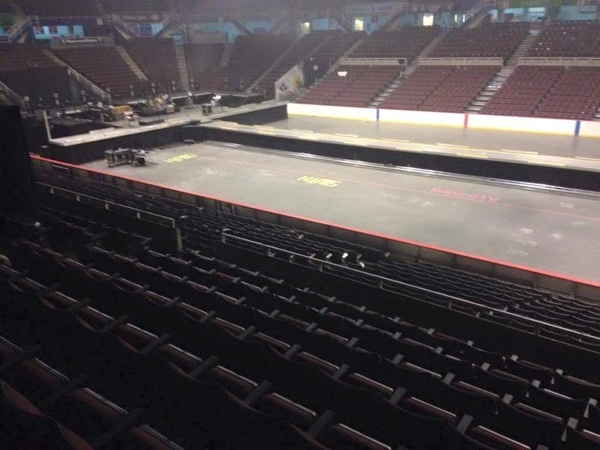 Many fans have been wondering what the stage will look like. Wonder no more. 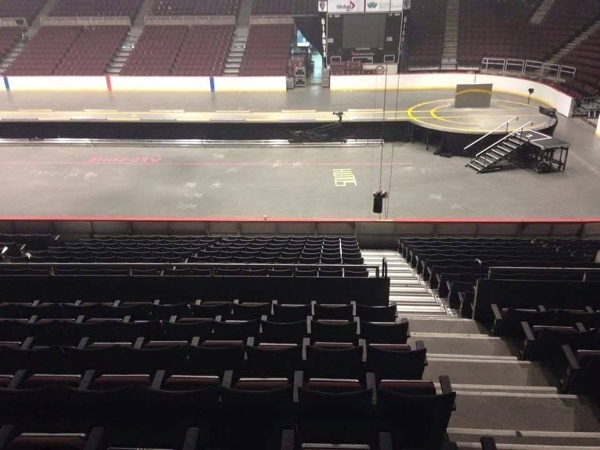 A Facebook fan page has posted pictures taken from inside the Pacific Coliseum in Vancouver. 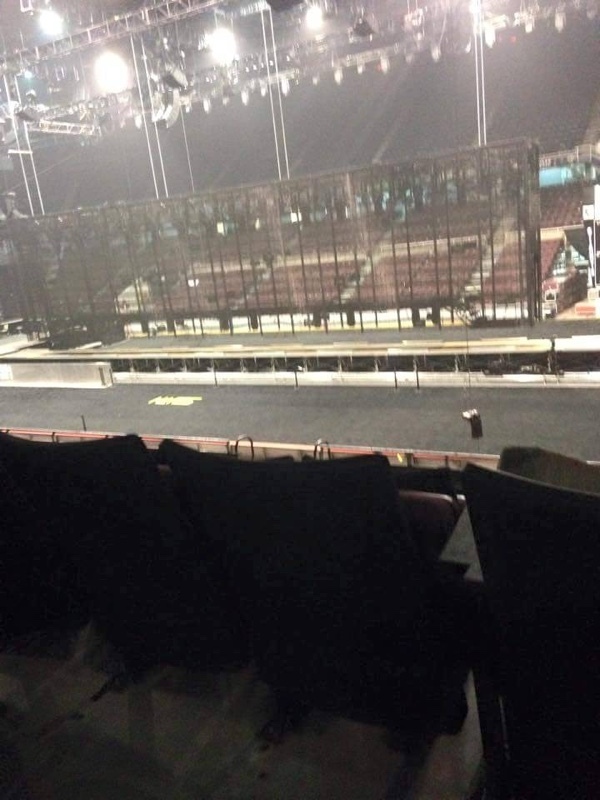 If you look closely at what's taped to the ground, this has been taken from the south side of the stage, and the Red Zone is taped along the whole length of the catwalk. We have no information yet whether the Red Zone is also taped along the length of the catwalk on the north side.